The Ashton UMK25 25-key MIDI-controller keyboard integrates seamlessly with your music production software on both Mac and PC platforms. Features assignable components (slider, pedal, pitch bend and modulation wheel). 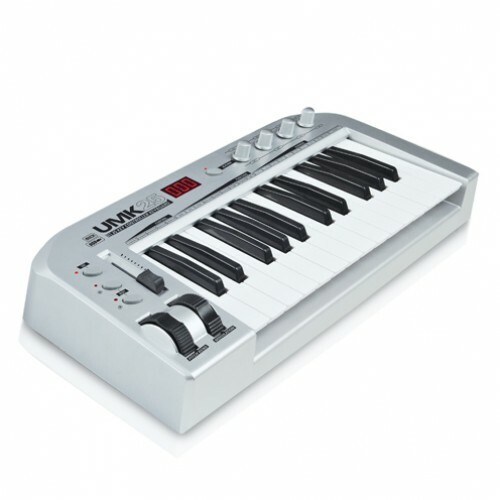 The UMK25 also features 4 assignable knobs, as well as the option to connect via USB or MIDI. Brand new piece, packing open. The Samson Carbon® 49 USB MIDI Controller makes musical performance and production accessi..